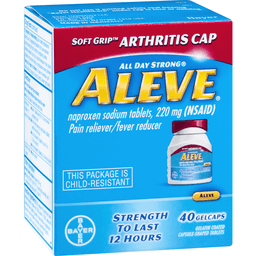 Other Information: Each capsule contains: potassium 20 mg. Read all directions and warnings before use. Keep carton. Store at 68-77 degrees F (20-25 degrees C). Avoid excessive heat above 104 degrees F (40 degrees C). 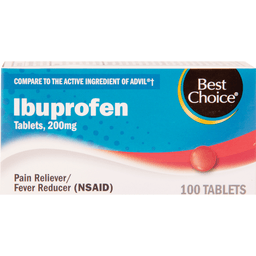 Misc: Solubilized Ibuprofen capsules. NSAID. Questions or comments? Call toll free 1-800-88-Advil. 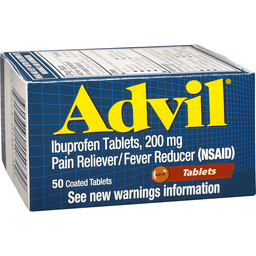 For most recent product information, visit www.Advil.com. Other Information: Read all warnings and directions before use. Keep carton. Store at 68-77 degrees F (20-25 degrees C). Avoid excessive heat above 104 degrees F (40 degrees C). 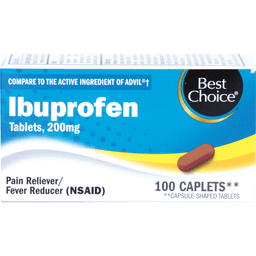 Misc: Pain reliever/fever reducer (NSAID). Questions or comments? Call toll free 1-800-88-Advil. 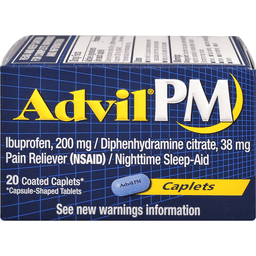 For most recent product information, visit www.Advil.com. Other Information: Read all warnings and directions before use. Keep carton. Store at 68-77 degrees F (20-25 degrees C). Avoid excessive heat above 104 degrees F (40 degrees C). 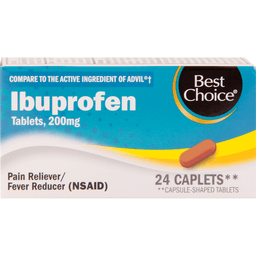 Misc: Pain reliever/fever reducer (NSAID). Coated caplets (capsule-shaped tablets). Questions or comments? Call toll free 1-800-88-Advil. 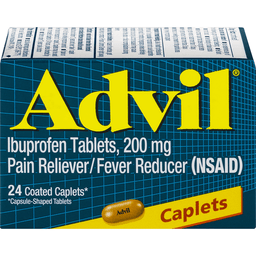 For most recent product information, visit www.Advil.com. 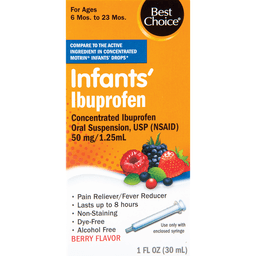 Other Information: Each Capsule Contains: potassium 20 mg. Read all warnings and directions before use. Keep carton. Store at 68-77 degrees F (20-25 degrees C). Avoid excessive heat above 104 degrees F (40 degrees C). 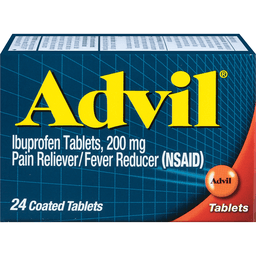 Misc: Pain reliever/fever reducer (NSAID). 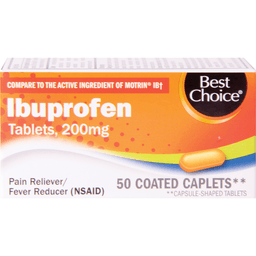 Solubilized ibuprofen capsules, 200 mg. Liquid filled capsules. Questions or comments? Call toll free 1-800-88-Advil. 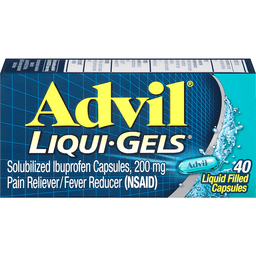 For most recent product information, visit www.Advil.com. Other Information: Read all warnings and directions before use. Keep carton. Store at 68-77 degrees F (20-25 degrees C). Avoid excessive heat above 104 degrees F (40 degrees C). Misc: Ibuprofen, 200 mg/Diphenhydramine citrate, 38 mg. Coated caplets (Capsule-shaped tablets). Questions or comments? 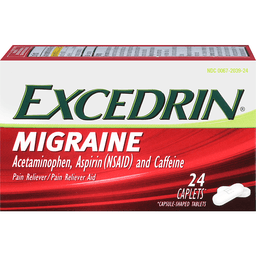 Call weekdays 9 am to 5 pm EST at 1-800-88-Advil. 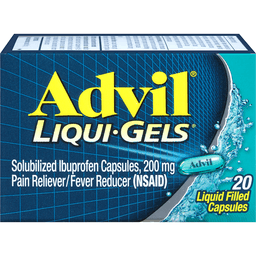 For more recent product information, visit www.Advil.com. Other Information: Each capsule contains: sodium 30 mg. Store at 68-77 degrees F (20-25 degrees C) avoid high humidity and excessive heat above 104 degrees F (40 degrees C). Read all directions and warnings before use. Keep carton. 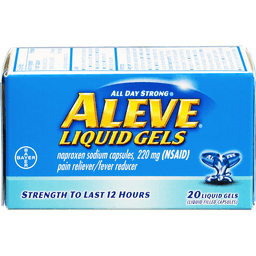 Misc: Liquid gels (liquid filled capsules). Strength to last 12 hours. All day strong. Questions or comments? 1-800-395-0689 (Mon-Fri 9 am - 5 pm EST). Made in the USA of US & imported materials. Other Information: Store between 68-77 degrees F (20-25 degrees C). Do not use if neck wrap or foil inner seal imprinted safety seal is broken or missing. 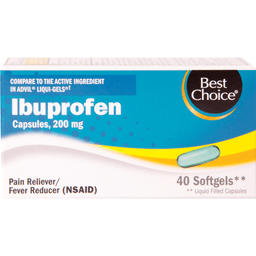 Misc: Ibuprofen tablets USP. 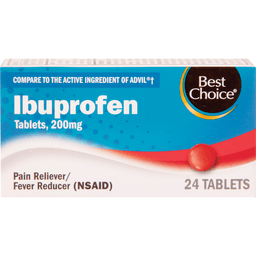 Pain reliever/fever reducer (NSAID). Capsule-shaped tablets. Questions or comments? Call 1-877-895-3665 (toll-free) or 215-273-8755 (collect). 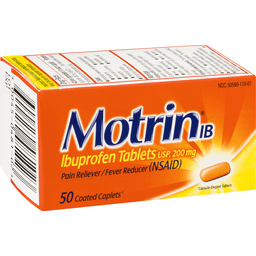 www.motrin.com.